According to a report commissioned by the presidents of the nation’s four Historically Black Colleges and Universities (HBCU) medical schools – Charles R. Drew University of Medicine and Science, Howard University, Meharry Medical College, and Morehouse School of Medicine – the number of African-American students in U.S. medical school who attended HBCUs has fallen from 26 percent in 2002 to just 12 percent in 2015. In order to help change these numbers, the nation’s HBCUs are charged with increasing the number of graduates who pursue health sciences careers, increasing the pipeline of college students interested in STEM disciplines, boosting the investment in health sciences programs at each school, and identifying evidence-based programs that prepare HBCU graduates for health sciences careers. The decline comes at a time when the U.S. critically needs more students for health sciences careers. Shifting population demographics, a significant increase in health care access among vulnerable populations, a physician shortage particularly in primary care, and an increased need for culturally competent health care, training and education require a diversified pool of health care providers. According to the report, if the HBCU African-American matriculation rate had remained at the 2002 level, an additional 1,689 students would have matriculated in U.S. medical schools in 2002 alone. Cumulatively, there have been 9,791 fewer black medical students enrolled from HBCUs since 2002. The findings were released during the “Empower Conference: Preparing a Competitive HBCU Applicant Pool for Health Sciences Careers” convened by the HBCU medical schools last June as part of the HBCU Empower Initiative, and including representatives from more than 50 percent of the nation’s HBCUs. “Research indicates that a diversified health sciences workforce improves population health outcomes, particularly within groups that are underrepresented within those fields,” the report concludes. The goal of the HBCU Empower Initiative is to develop a comprehensive strategy to increase the number of academically prepared students at HBCUs who apply and enroll in graduate and professional schools in health sciences fields. The initiative was launched June 2016 at Meharry Medical College, and the HBCU Empower2 Conference is scheduled for June 2017. The four HBCU medical schools are led by Dr. David M. Carlisle, president and CEO of Charles R. Drew University of Medicine and Science in Los Angeles, Calif.; Dr. Wayne A.I. Frederick, president of Howard University in Washington, D.C.; Dr. James E.K. Hildreth, president and CEO of Meharry Medical College in Nashville, Tenn.; and Dr. Valerie Montgomery Rice, president and dean of Morehouse School of Medicine in Atlanta, Ga.
“This is an imperative that goes far beyond the walls of HBCUs. 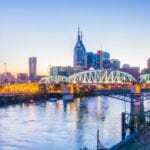 It impacts an entire country, particularly those vulnerable communities in urban and rural America. 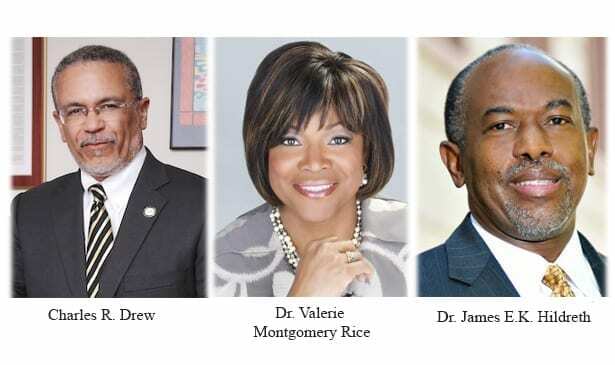 For that reason, we must face this challenge together – with public and private partnerships and within the universities and institutions with graduate and professional degrees in health sciences,” said the four HBCU medical school presidents in a joint statement.